Crocheted items were the domain of old grannies for a long time—and then they suddenly became cool! 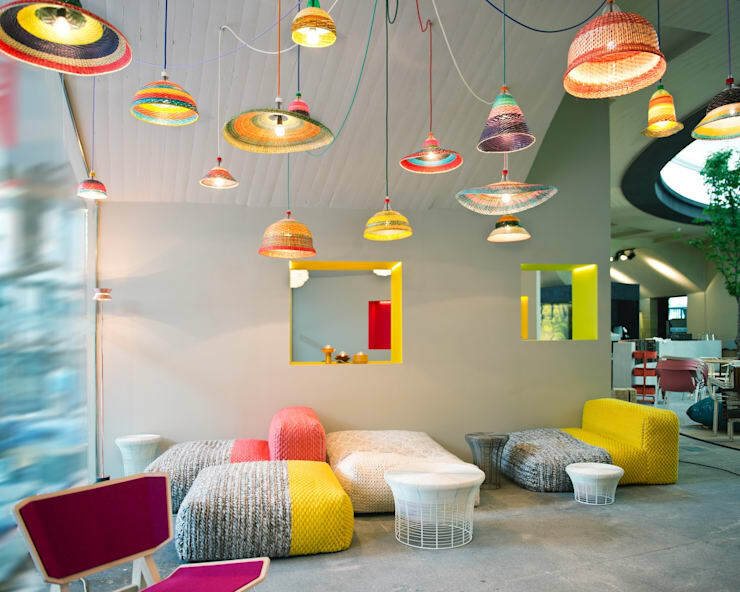 The crocheted lampshades here give a whimsical ambience to this colourful living room. We love it! 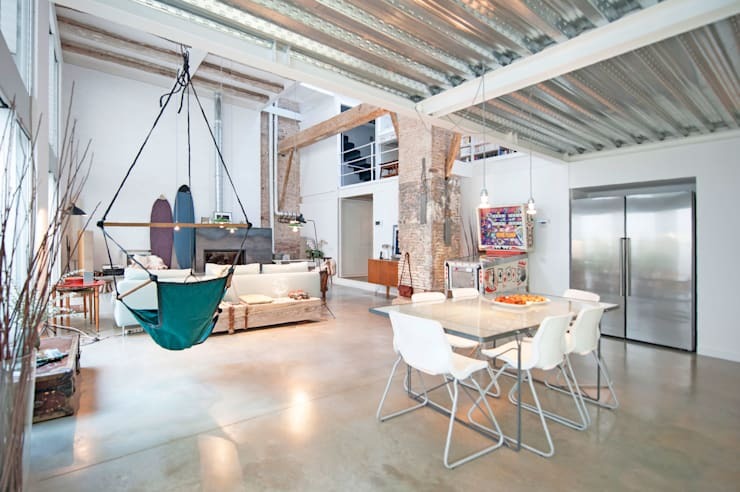 It's not often we come across a unique home interior like this. 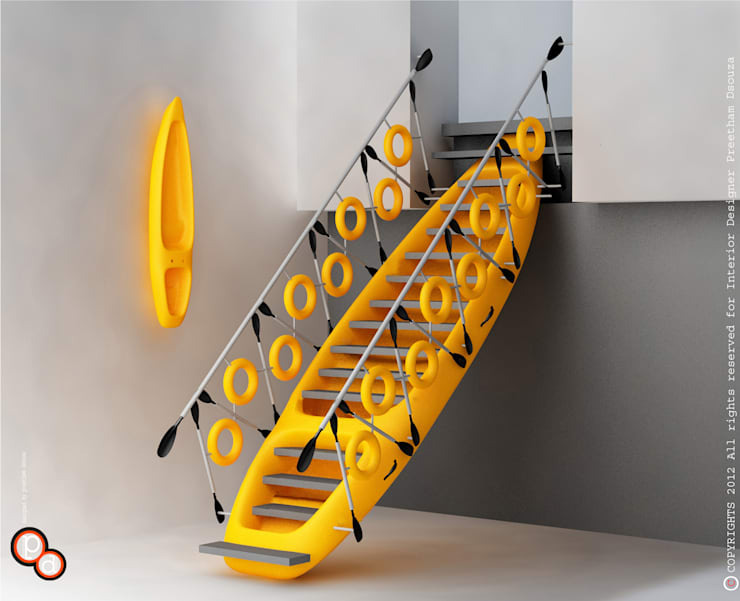 The seats of this kayak have been converted into cool steps and made into a staircase! It's definitely one for the more adventurous decorator. 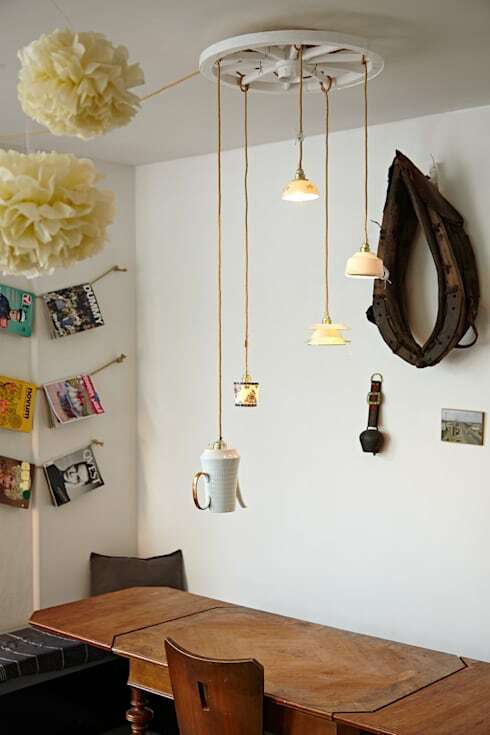 Upcycled teacup and teapot pendant lights are a bit trend at the moment. They add a gentle, playful feel to the home without being totally over the top. 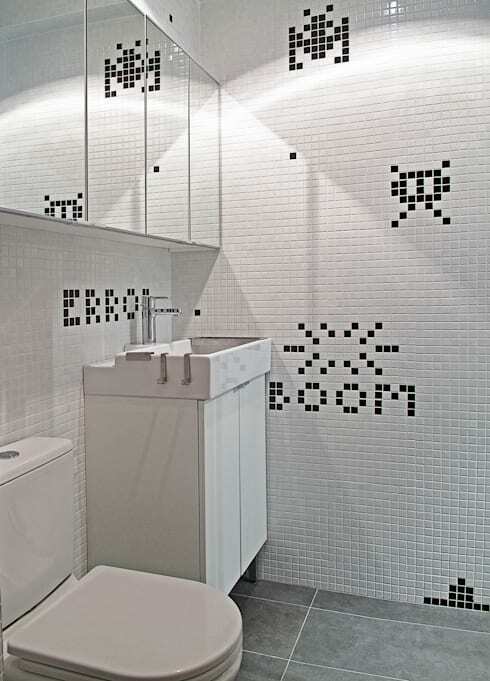 This little bathroom was designed for a fan of the 1980s arcade game Space Invaders. They even went so far as to tile error warnings on the bathroom wall! This floor lamp is sure to scare anyone creeping into your home at night. It also gives this living room a wonderful zest. We're big fans of the tree branch lighting as well. 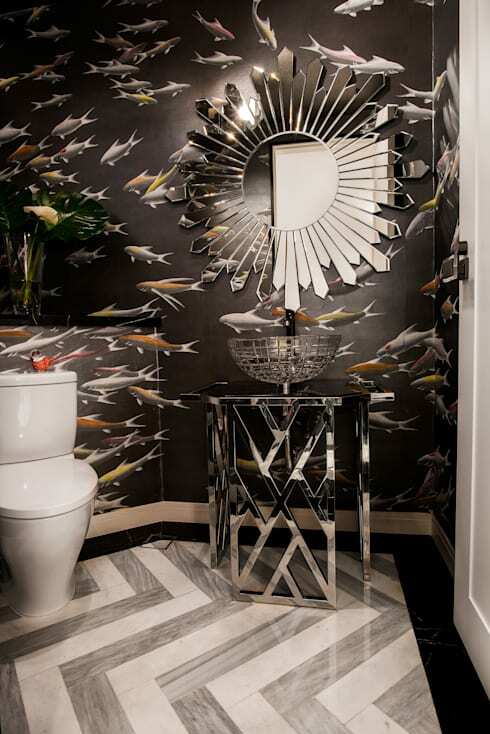 Who says a little bathroom needs to be boring or white? This awesome little black bathroom has a swirl of underwater life that is sure to have guests lingering in the bathroom. This one comes to us courtesy of Singaporean interior designer and decorator Design Intervention. 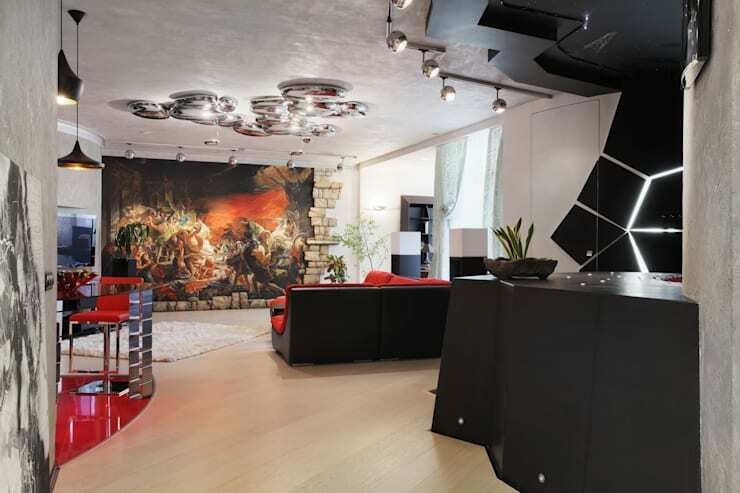 This interior is definitely one for lovers of the dramatic arts. The living room resembles a stage in many ways. It has a huge mural backdrop with classical figures. It also has a very unique ceiling with blow up mirrors! Those who like to play hard might want to create a games room. 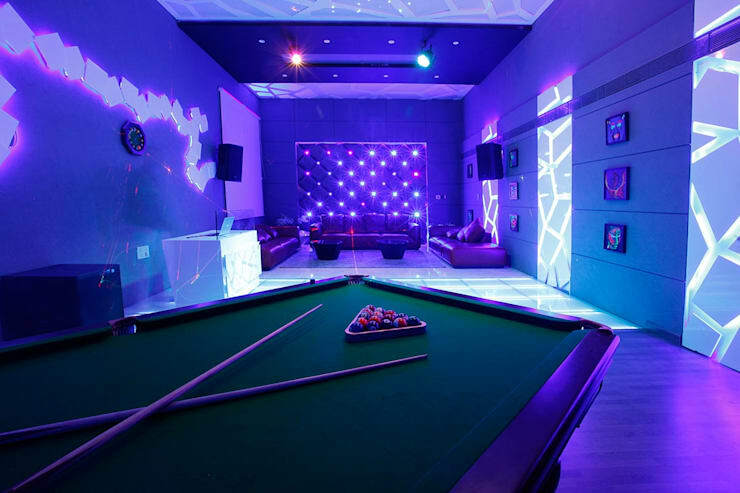 This games room has the obligatory pool table, mood lighting and ultra comfy couches. If you found the underwater bathroom intriguing, check out the entire home here… A Singapore home of wild surprises. 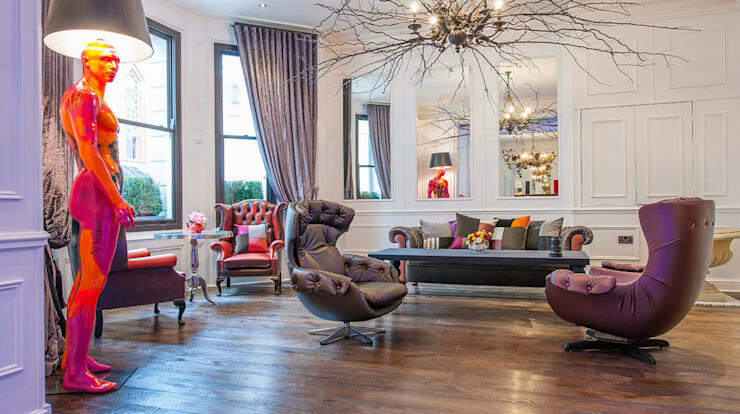 What do you think of the more adventurous interiors we have shown you today? Let us know in the comments field below!